A.G.A.S. Manufacturing Group is a leading manufacturer and distributor of high quality, low cost flags, banners, windsocks and other promotional products. On our online flag store you can buy popular and specialty flags in a variety of designs and styles, both for indoor and outdoor flag displays. 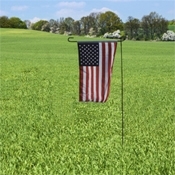 Additionally, you can buy flag accessories, including flagpoles and flag stands to make your order complete. All of your flag and banner purchases from our online store will be received and processed immediately, and you will receive an e-mail confirmation that your flag order has been placed. Most flag orders ship within 48 hours from our flag warehouse in Philadelphia. You can also expedite your shipping if you need your flags, banners, and accessories even sooner. If you prefer to work with a dedicated sales representative or if you have any questions about how to order flags and banners from our flag store online, please e-mail us at sales@agasmfg.com or call us at 1 (866) 269-3524. 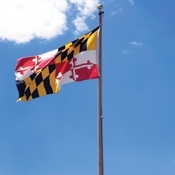 AGAS specializes in printing on fabric and manufactures flags and banners. Ordering directly with AGAS offers you lower prices, faster turnaround times and high quality products. Show your pride with an American flag. 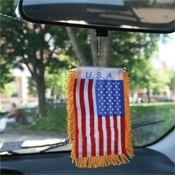 Our variety of USA products are perfect for displaying your patriotism around your home, business, school, or even your car. The Online Flag Store sells a complete assortment of USA State flags, including US Territory flags and Washington DC flags. State flags are a great way to show pride for your state, and for display next to American flags. 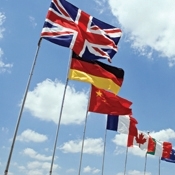 We have the largest selection of International flags on the web. From Abkhazia flags to Zimbabwe flags and every country in between - you'll find a variety of styles, fabrics, and sizes as well as country stick flags and country car flags. 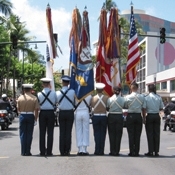 Show your support with our Military flags, POW MIA flags, Support our Troops products, Civilian Service flags, and more. Our top quality military flags and products range from car magnets to service banners and large flags. We carry a variety of Historical USA flags such as Betsy Ross flags, Confederate flags, Gadsden flags, and Navy Jack flags. 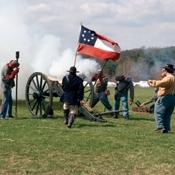 You can find any USA historical flag design here for indoor display and outdoor display. You'll find a variety of flags from popular world religions, including Christian flags, Israel flags, and Buddhist flags, to name a few. 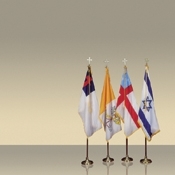 We have multiple flag styles appropriate to display in your home, car, office, or place of worship. We have a large selection of Peace flags, Earth flags, American Peace flags, and Rainbow Pace flags. 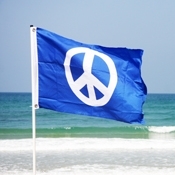 With many flag styles including windsocks, bumper stickers and streamers you will be able to express your visions of peace. 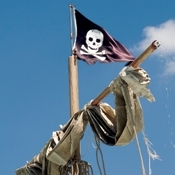 Our Pirate flags come in a wide selection of designs including Calico Jack flags, Jolly Roger flags (Skull and Crossbones flags), Henry Every flags, and more. We have both black flags and red flags available to buy. 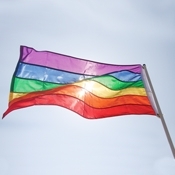 We carry a variety of Rainbow flags and Pride flags which are symbols of peace and symbols of the LGBT community. 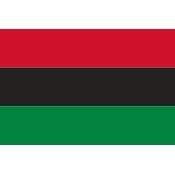 These flags are perfect decorations for your home, or for use at gay pride parades and gay pride events. 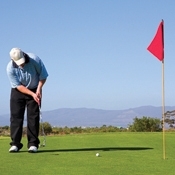 You'll find a variety of Golf flag designs with many colors and styles on our online flag store. These small outdoor flags are made from heavy duty 200 Denier Nylon so they're durable flags and will last throughout the seasons. Garden flags are a great yard decoration for any occasion or season. 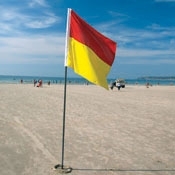 Our small outdoor flags are made from heavy duty 200 Denier Nylon so they're durable, top quality flags. 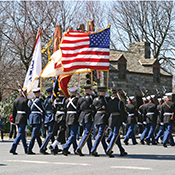 Show your pride with a Mini Banner from our wide selection – Military Mini Banners, Peace Mini Banners, Rainbow & Pride Mini Banners, Religious Mini Banners, and USA Historical Mini Banners. A.G.A.S. 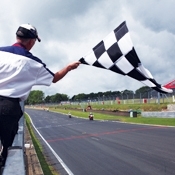 sells a complete selection of racing flags used for car racing, motorcycle racing and dirt bike racing. Buy your full set of high quality race flags for your next trip around the track. We carry a variety of sizes for airport windsocks, including FAA Size 1 Windsocks and FAA Size 2 Windsocks. 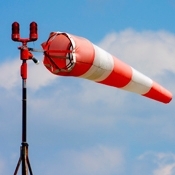 Our easily visible airport windsocks are made from heavy duty 200 Denier Nylon. Our solid color pennant flags are perfect to use as bicycle flags, wheelchair flags, ATV flags, dirt bike flags, or golf cart flags. 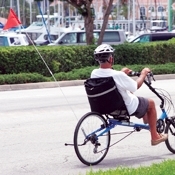 Our bike flags are made from 8 mil poly, and come in eleven different colors. 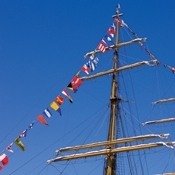 You can find a wide selection of Nautical flags on the Online Flag store including International Maritime Code & Signal Flags, Number pennant flags, International Ensigns, Yacht Flags, Novelty Flags and Officers Flags. 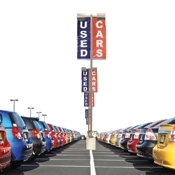 Use our Advertising Signs to promote your company, car dealership, event or festival. Our message flags come in a variety of flag sizes and styles, including car flags, feather flags, pennant streamers, and mirror covers. You can choose from a variety of checkered flags, checkered streamers, checkered stick flags, checkered message flags, and more. 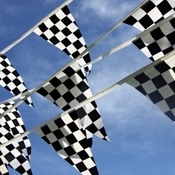 For each checkered flag product you can choose from 18 different color combinations. 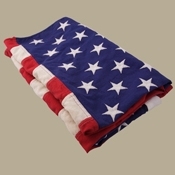 We have an assortment of solid color blank flags in different shapes and styles. We also have multiple color flags in which you can choose your colors. Perfect for drawing attention or adding decoration! If you prefer to shop our Online Flag Store by flag styles such as bumper stickers, car flags, embroidered flags, stick flags, streamers, pennants, windsocks, or more you can see a variety of flag types here. A.G.A.S. is a leading flag manufacturer and distributor and our online flag shop offers the largest selection of flags and banners for sale on the web. We provide you with the highest quality flags, banners, windsocks, pennants, and other promotional products. Our company was founded in 2000 in Philadelphia, Pennsylvania where we have our headquarters, main factory, and flag warehouse. Our business originally focused on making custom flags, and from growing customer demands for our high quality craftsmanship and attention to detail, we expanded into making more commonly purchased flag designs. We pride ourselves in stocking a wide variety of top quality flags including world flags, pride flags, state flags, military flags, USA flags, checkered flags, garden flags, and even business and advertising signs. As our company grows, we are adding new product lines to better serve our customers to buy flags online. As such, you can now buy flag accessories such as flag poles and flag stands, to complete all your indoor and outdoor flag displays. 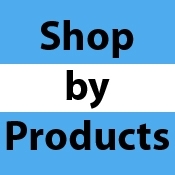 You can browse our products by design (including rainbow flags, religious flags, historical flags, pirate flags, and more), or you can browse our products by style (including USA car flags, stick flags, embroidered flags, streamers, and more). You can also search our massive inventory for any flag you need to buy. If you can't find it in stock, we can always make you a custom flag to get exactly what you need. A.G.A.S. is your one stop shop for flags, banners and signs! It's critical when you buy flags and banners that you receive a high quality item. At A.G.A.S. we understand your need to get it right the first time. That's why we have a rigorous Quality Control Process that all of our custom flags and stock flags undergo before your flag order is shipped from our warehouse. We are dedicated to selling the best flags and promotional products at the lowest prices, which is why we carry such a large inventory of flags and banners. Since your satisfaction is our number one priority, we want to make sure you have everything you need to buy exactly the flag you want. Because we have a vast inventory of flags and banners, there are many options such as flag fabrics, finishings, flag sizes, flag styles, and the appropriate flag accessories to match. 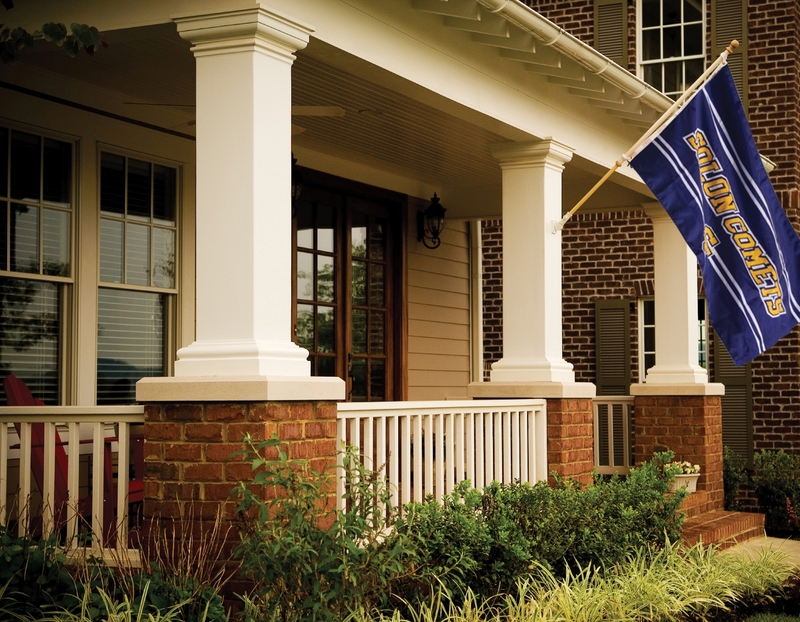 If you have any questions about our flags and banners, a dedicated sales representative can help you pick the flag and style that best suits your needs. Please e-mail us at sales@agasmfg.com or call us at 1 (866) 269-3524.